Fully Automatic stationary conveyer Filling and Capping machine for Filling & Capping of liquid and paste products in a wide range of consumer request plastic bottles with volume up to 1000 ml, dosing system have high accurate volumetric measuring filler. The ALFA-M is Fully Automatic conveyer Filling and Capping Machine and it is based on digital mechanical, combined with pneumatic assemblies. 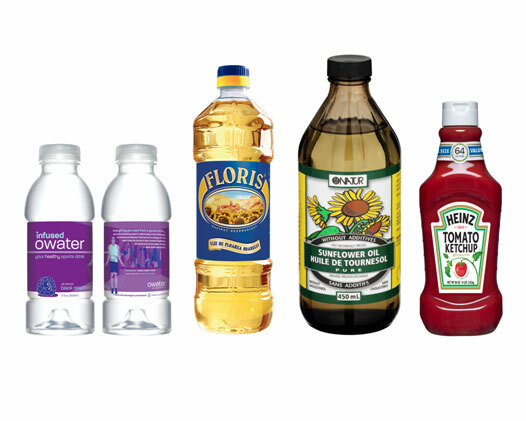 The ALFA-M filling and capping machines are suitable for packaging liquid and paste products into pre-formed plastic bottles of various size and shapes. 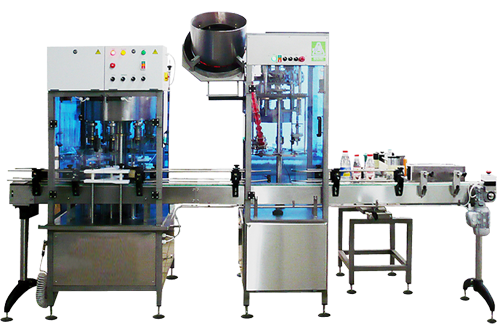 This packaging machine can be used for water, dairy products, dressings, oil, ketchup cosmetics and much more. 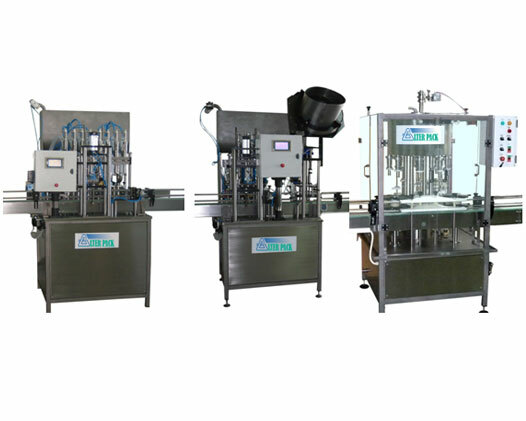 This machine is full-automatic piston type liquid bottling machine. PLC control system “OMRON”(Japan) user-friendly touch screen interface. Filling bulkhead is leakage-proof, prevents from high froths. Positive Nozzle shut off design. Filling volume and speed is adjustable. The adjustment of the machine to different container sizes is fast and easy. Power – 208-230 V, 50/60 Hz ,3 ph. Dosage adjustable ± 50 gr. Filling station dimension (L×W×H) 1200×1200×2400mm.